Short Description: FREE SHIPPING!! 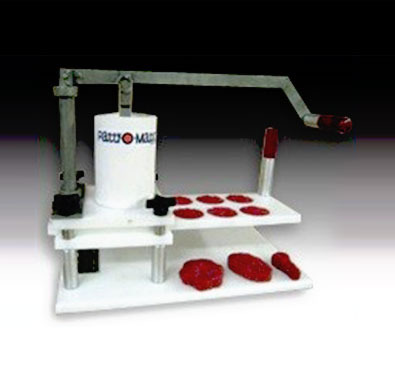 The Eazy Slider Portioning and Forming Machine includes 1 standard mold plate (4 ounce patties at 1/2 inch thick. Additional custom mold plates are available. The Patty-O-Matic Eazy Slider will make virtually any shape, thickness and weight of a patty from a variety of products with just a quick change of the mold plate. Custom molds available at extra cost.